With the evolution of the 'subscription economy', several innovative businesses now place the customer at the heart of the enterprise. Some notable companies that have become household names include Uber, Airbnb, Amazon and Dropbox, who, in turn, work with customer experience management companies to deliver high-quality experiences. The success of these businesses lies in the fact that early in their journey, they foresaw the need for consumers to be more connected and informed. Similarly, employing software-as-a-service (SaaS) solutions became a tested method to enhance customer relationships by adopting an omni-channel approach. Businesses began engaging with their customers round the clock through a variety of channels. This series of changes was an outcome of various factors, such as the rapid adoption of technology, extensive use of smartphones, 24/7 connected consumers, and intensified competition from related businesses. Besides, innovations in IT infrastructure encouraged the development of companies such as Amazon Web Services in the subscription economy. Such firms enabled businesses of all sizes to use cloud services and solutions as and when they wanted. Disruptive businesses started entering the market thereafter, competing with established businesses using a much more agile approach. As a result, cloud-enabled disruptors managed to achieve greater scale rapidly and developed a competitive advantage by successfully reaching customers around the world. Let us remember how our our lives have changed in the last five years. Earlier, hailing a taxi would mean standing on the street and waving your hand whereas now it’s done with the swipe of a finger on our phones. Holidays were packaged, not personalised to match our preferences. Ordering food meant going to multiple websites instead of one distinctive platform. Pretty much everything had a long turnaround time, with delivery taking over a day at times. Traditional businesses in retail, food, travel, and transportation presented the greatest opportunity for disruption. Entrepreneurs spotted this potential and gave it the means to achieve scalability. The subscription economy found its purpose and started to spread its wings and gain traction. Around the same time, social media started gaining popularity. The trend initially saw people sharing broadcasts of their routine lives, such as what they had for lunch, what were they buying, where they were heading for dinner, etc. Consumers also started ratifying their experience with a company or product through social media. The term ‘expectation economy’ then became prominent, as the consumer gained influence with their new-found power to broadcast their true experience to the whole world. Consumers shared feedback and information based on their experiences and expectations from a certain business. This made businesses more accountable and responsible. Long-term relations with each and every customer was now valued, and they were at the centre of a business. The control baton is now in the customer's hand. This new economy resulted in established businesses having to make a choice—they could either push against the changing course of consumer power, or join the disruptors and embrace the change. They could either be bold, confront the challenge, and transform their existing practices and culture, or give in to the turning tide by ignoring the issues at hand. Traditionally, customer relations have been rigid. It involved several months of training, implementation, and iterations with a solid six- or seven-figure budget. Scalability was decided beforehand, based on insights. The process was not based on demand and had little agility and flexibility. Now, this rigidity has been challenged. SaaS-based customer relationship solutions make businesses try, buy and implement very swiftly. Customer service solutions should be tested entirely by the business, rendering the need for a user manual redundant. The software should be easy to use so that anyone within the business can understand it quickly. It should be simple so that it can be introduced to the business without the need to re-engineer its IT infrastructure. Essentially, it should expand and detract along with the business as it scales, like summer clothing trends. If we look at traditional industries, the ones with direct customer touch points, such as transportation, travel and retail, have adapted well to consumer power. Some of these businesses like Tesco, John Lewis, Trivago, Deliveroo, Cabify, Gov.uk and others have been working with Zendesk over many years. These businesses have instilled a mindset among their external-facing employees to concentrate on the lifetime value of a customer. They have acknowledged the need to change their traditional ways of appreciating a customer. As a result, these early adopters have developed a trustworthy and loyal customer base. Some businesses, however, continue to ignore the voice, needs and wants of customers. A survey conducted by Zendesk in India revealed an increase in demand for omni-channel experience and interaction. The report showed that new-age communication platforms, such as chat and messaging, have grown in popularity in recent years. While 43% of the respondents felt they will be using chat more in 2017, 20% felt they will use messaging more to communicate with companies. Another recent study in Germany revealed that 46% of respondents would rather visit a dentist or wait in a traffic jam than call customer service. This should serve as a red flag to all businesses unwilling to listen to the customer’s voice. Businesses across the board need to pay more heed to the new realities, and consider customer service a sales opportunity and not a business cost. 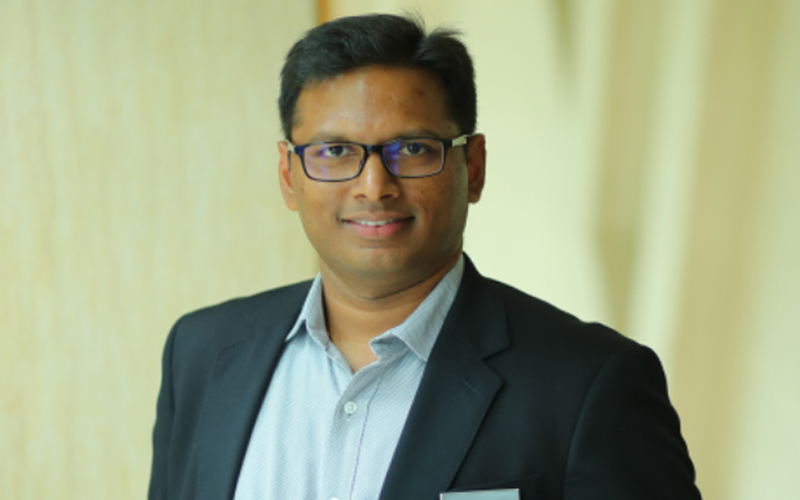 KT Prasad is country sales director at enterprise firm Zendesk India.